Vanilla pod 2016: Purchase Madagascar vanilla Bourbon AOC gourmet quality-extra of high quality in packaging of 5 pods in a vial. Flexible vanilla, full of seed, rich in taste, mellow. Vanilla pod of very high quality. The best of Madagascar. The Comptoir de Toamasina offers you one of the best vanilla pods of Madagascar. The pod of Bourbon vanilla from Madagascar is our core business, directly from small plantations of Madagascar. The bourbon vanilla from Madagascar is certainly the queen of the vanilla, the black vanilla from Madagascar because it releases an intense aroma and powerful with notes of cocoa and red fruit. It is the best vanilla in the world to accompany your pastries, desserts and your recipes salted. Our pod of bourbon vanilla from Madagascar is brilliant, fleshy, mellow, flexible and offers a perfume rich and intense with notes of cocoa and caramel which are the ideal weapon of your pastries. The counter of Toamasina you proposed of vanilla pods of Madagascar of family productions. 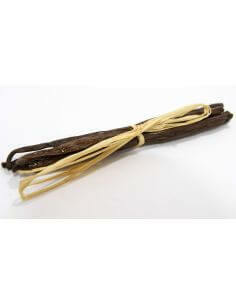 Our vanilla comes direct from producer/harvesting. The best vanilla pod of Madagascar in direct relationship with the producer. From Monday to Friday from 12h00 to 14h00 and from 17h00 to 20h00. Vanilla and spices, producer and exporter of vanilla from Madagascar and of Tahiti as well as spices from Madagascar and of the world. The counter of Toamasina is the specialist import export of vanilla in the world, Vanilla Bourbon, Madagascar, Comoros, Islands of the meeting, vanilla from Tahiti, extract and powder Vanilla.